Mobile Medical Care, Inc., a Federally Qualified Health Center located in Montgomery County, Maryland serving low-income adults, is seeking two full-time Medical Assistants. One Medical Assistant will work at 2-3 clinic locations in the lower Montgomery County area. Hours are M – F, 40 hours per week, with one evening clinic per week. The second Medical Assistant will work at our Germantown clinic. Hours are M – F, 8:30 am – 5:00 pm. This is an exciting and challenging position in one of the oldest and most respected safety net health clinics in Maryland.This position is for the individual who is interested in providing quality customer service to our patient population who come from over 100 countries. MUST BE BILINGUAL IN SPANISH AND ENGLISH. Conduct initial assessment of patients, including checking vital signs, weight, and chief complaint. Conduct other components of nursing assessment under the direction of the Nurse Manager. In collaboration with the Nurse Manager, maintain and manage the Medical Records for assigned clinic sessions. In collaboration with the Nurse Manager, conduct the intake and registration of new and returning patients. In coordination with other team members, enter patient visit data into the eCW electronic health records system. Make patient appointments, using the eCW electronic appointment calendar. In collaboration with the Nurse Manager participate in case management activities. In collaboration with the Nurse Manager, participate in the management of incoming diagnostic test results. Certified Medical Assistant or Bachelor’s degree with healthcare experience. Ability to appropriately interact with multicultural patient population. Proficiency documenting in an electronic health record system (preferably eClinicalWorks) is a must. Basic computer skills and ability to perform basic operations with the database. Well organized, able to prioritize and meet deadlines. Interested candidates must send a cover letter, resume showing relevant experience, and salary expectation to hr@mobilemedicalcare.org. Please specify the opening(s) to which you are applying. Mobile Medical Care, Inc., a Federally Qualified Health Center located in Montgomery County, Maryland serving low-income adults, is seeking a full-time Nurse Manager to work Monday – Friday, 8:30 am – 5:00 pm (40 hours per week) at our Germantown, MD clinic. This is an exciting and challenging position in one of the oldest and most respected safety net health clinics in Maryland. This position is for the individual who is interested in providing quality customer service to our patient population who come from over 100 countries. Responsible for the smooth and efficient operation of services that contribute to the overall productivity and quality of care provided by MobileMed clinics, while maintaining compliance with applicable regulations and policies. Clinical Oversight: Must possess high-level assessment skills needed to determine patient’s well-being and status. Case Management: Ensures timely and accurate ancillary and specialty referrals. 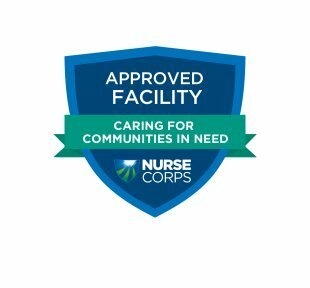 Supervision: Supervises front desk and support staff in day-to-day operations, which includes discharge planning, medication distribution, appointment set-up, application processing, co-pay collection, depositing money, and patient education. Operations: Ensures effective patient flow in the clinic, appropriate follow-up on provider documentation and inventory management of supplies/medications. Registered nurse in the State of Maryland. Ability to interact with multicultural population and providers. Excellent organizational skills. Management experience strongly preferred. Electronic health record experience strongly preferred. Experience in not-for-profit healthcare organization a plus. Current CPR certification for healthcare workers. Fluency in English required; additional languages, especially Spanish, preferred. Mobile Medical Care, Inc., a Federally Qualified Health Center located in Montgomery County, Maryland serving low-income adults, is seeking a full-time Driver/Registrar to work in various clinic locations in Gaithersburg, Rockville and Aspen Hill. The regular work week is 38 hours, Tuesday thru Friday. The schedule includes 1/2 hour (unpaid) lunch break. Tuesday, Wednesday and Friday: 7:30am – 6:00pm (Gaithersburg or Aspen Hill on the van). Thursday: 8:30am – 5pm (Silver Spring in fixed site clinic). In addition, there are occasional Monday morning meetings or trainings that must be attended. You will be the driver of a Class C Winnebago (RV style vehicle) three days each week. Driver training will be provided, as needed. The van is a converted RV with two exam rooms and a nurse’s station. It is driven like a regular RV and does not require a commercial driver’s license. Must have a good driving record with a minimum of five years’ clean driving record. Must be computer literate and be able to type. Ability to speak Spanish fluently required. Able to carry boxes of supplies and/or medical records weighing up to 15 lbs. for a minimum of 50 yards. Picking up the van and driving it to the day’s location. This is done on Tuesdays, Wednesdays and Fridays. Setting up the van for patients. Registering patients for the clinic. Collecting co-pays in cash and checks and processing credit card payments. Interpreting as needed during the day. Preparing the financial report at the end of the day and sending it to the office. Depositing the money collected in the bank.